As we prepare to serve our state legislators by providing them with bill analysis and liberty-minded vote recommendations, we reaffirm our commitment to making recommendations rooted in principle regardless of the partisan affiliation of the bill authors, the emotional subject matter of the bills, or the good intentions of the legislature in considering the bills. There will be many bills this legislative session filed with good intentions but which grow the size and scope of government, infringe on individual liberty, create special classes, or give preferential treatment to certain groups to the exclusion of others. Regardless of how well-intentioned those bills are we will recommend legislators oppose them lest liberty be diminished upon the altar of good intentions. Today the 85th Texas Legislature gavels in. We extend our congratulations and thanks to all members, veterans and freshmen alike, swearing in today. We look forward to serving legislators and staff this session by providing high quality bill analysis coupled with liberty-oriented vote recommendations. The next 140 days will be a great adventure and we are thrilled to be part of it! 1/1/17 Update: This position has been filled. Thanks to all the wonderful applicants who showed interest in joining our team. Texas Action has an immediate opening for a Senate Legislative Director to help train and mentor policy staff and maintain a timely work flow for our analysts to turn out high quality bill analysis and vote recommendations for members of the Texas Senate. The Senate Legislative Director will work with our policy team to make sure that our analysis of bills before the Senate is accurate and that our vote recommendations are well-written and consistent with our Liberty Principles; Free Markets, Private Property Rights, Individual Liberty, Personal Responsibility, and Limited Government. If you support these principles, have a background in public policy, are an experienced leader, and want to help equip Texas legislators to make quality voting decisions based on sound analysis, please send us your resume! This full-time temporary position is currently open with a start date as soon as possible, preferably not later than January 3rd, and running through the end of May. Update: The policy analyst positions have been filled. Thank you to the many wonderful applicants who showed interest in these positions! Liberty-minded job seekers: Texas Action is hiring policy analysts for the 2017 session of the Texas Legislature. The positions are full time temporary positions based in Austin, Texas starting in December of this year and running through the end of May 2017. Click here for details about the positions and how to apply. 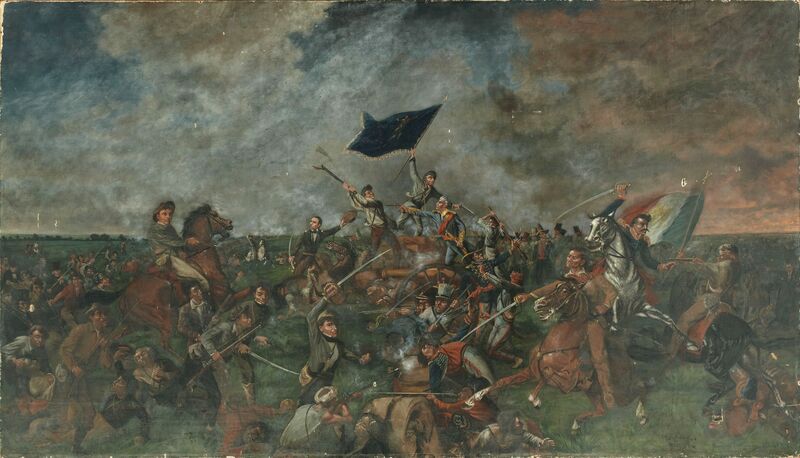 Today we celebrate the anniversary of the Battle of San Jacinto; the decisive battle which led to Texas independence. On that day the Texian army under the command of General Sam Houston fought Santa Anna’s army under the rallying cries of “Remember the Alamo!” and “Remember Goliad!”. The Texians won the battle, captured Santa Anna, and secured independence for the Republic of Texas. May their memory always be cherished by Texans everywhere! While legitimate cases of political corruption and abuse of power should be investigated and prosecuted, the judicial system should never be used to carry out vendettas against political opponents. It was obvious to everyone who bothered to spend even a few moments reviewing the facts that this was an obvious case of the latter. In 2015 the Texas Legislature passed a slate of new bills expanding statutory recognition of 2nd Amendment rights. Most notably, lawmakers passed open carry and campus carry into law. In a nutshell, a Concealed Handgun License is now effectively a License to Carry. License holders will be able to open carry wherever they are permitted to carry concealed, with some exceptions. The campus carry provisions allow limited concealed carry on higher education campuses, again with some exceptions. The Texas Department of Public Safety has a helpful rundown on all of the changes to handgun carry laws here. While open carry and campus carry are perhaps the most notable changes, there are several other important changes to handgun laws in Texas which will also become law on January 1. Before carrying a handgun in 2016, concealed or otherwise, it would be wise to visit the TxDPS site for a quick refresher. For no good reason at all we collectively changed our clocks back one hour this weekend. If you’re still adjusting to having the sun rise and set an hour earlier than you are accustomed to and wondering why in the world this clock adjustment is foisted upon us every fall and spring, welcome to the club! The Texas Legislature had an opportunity to put an end to the madness in the form of Rep. Dan Flynn’s HB 150 which we encouraged the legislature to pass. In what may have been the lengthiest bill analysis we published during the 84th Texas Legislature, our analyst Gregory Weeks made what can only be considered an iron clad case for abolishing Daylight Savings Time. Unfortunately, the legislature remained unconvinced. Perhaps Rep. Flynn will resurrect his legislation in 2017. We would most certainly support it again. Our full analysis of HB 150 is republished below for your enjoyment. Sine Die: The term is bandied about with reckless abandon this time of odd-numbered years in Austin. People in and around the Capitol know what it means while the rest of the world looks on with a blank stare. As the legislature prepares to gavel out we salute and congratulate all of the legislators, staff, advocates, and activists who have worked through the 84th Legislative Session. Everyone involved in the process (regardless of whether or not we agree on policy) puts a tremendous amount of time, energy, effort, and passion into the legislative session. Congratulations to all; now go get some well-deserved rest!